The Catholic Church in Louisiana traces its heritage of providing social services to the time of the French exploration and settlement with the arrival of the Ursuline nuns in 1727. For nearly 300 years, Catholic institutions of education, health care and social services have been assisting those in need. Since it's official start as Catholic Charities Archdiocese of New Orleans in 1996, CCANO has been on the front lines of urgent community needs. 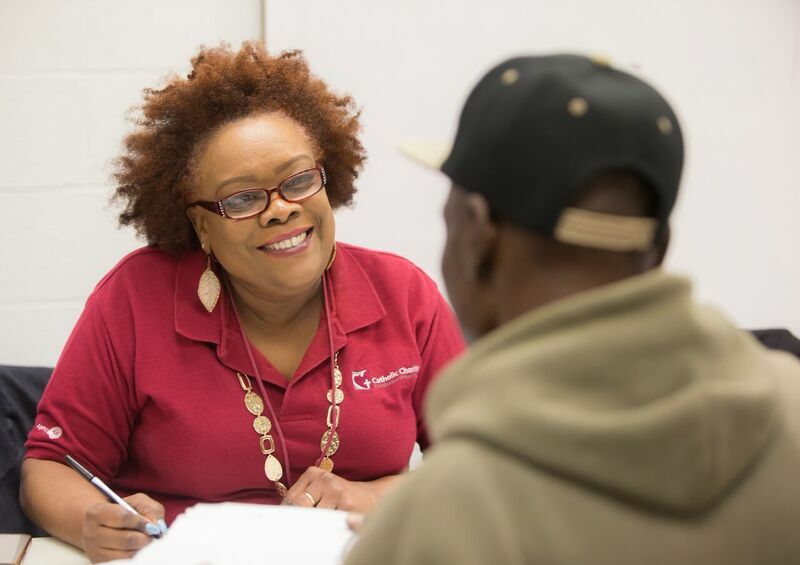 From Catholic Charities' reorganization after Hurricane Katrina, to the oil spill of 2010, Hurricane Isaac, last year's floods and the recent tornado in New Orleans East, CCANO has been a source of hope and stability in short and long term recovery. Read Sr. Marjorie's full letter. After last month's devastating tornado in New Orleans East, Catholic Charities was again called upon to assist our neighbors who were impacted. CCANO staff was immediately on the ground and assessed hundreds of individuals. Services offered included counseling, food and supply distribution in collaboration with Second Harvest Food Bank and other community partners, help navigating FEMA and temporary housing. CCANO is now in the process of long-term recovery planning and will continue to serve those impacted. Thank you to all who have donated to our tornado recovery efforts! To date, we have received over $129,000 in donations and grants to help us bring relief to those in need. Visit our website to learn more about how CCANO is helping in the wake of the storm. Founded in 1925, Xavier University's mission is to contribute to the promotion of a more just and humane society by preparing its students for roles of leadership and service. This love of service and empowering others is reflected in the University's P4 pharmacy students, who held a Valentine's Day fundraiser benefiting Catholic Charities! The group chose CCANO as their benefactor after noticing that our mission to serve those most in need regardless of race, religion, age, ethnicity or economic status aligned with their own work to serve all communities, especially underserved communities in New Orleans. Read the full story to learn more about the students' fundraiser and see Xavier's Catholic identity alive on campus. GiveNOLA Day is May 2! Catholic Charities is excited to be participating in GiveNOLA Day again this year! Hosted by the Greater New Orleans Foundation, GiveNOLA Day is a one-day online giving event that works to inspire individuals to support local nonprofits that are making the community a better place. You can bookmark our GiveNOLA page and join us May 2 to #GiveNOLA! Each year, CCANO honors our employees who are celebrating milestone anniversaries. 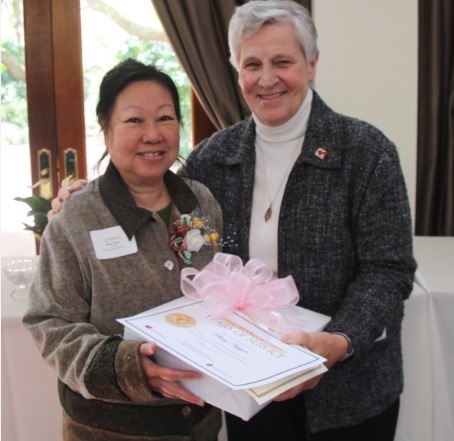 This year, we honored many employees, but we were overjoyed to celebrate Phung Nguyen's 35 years of service to CCANO's Immigration and Refugee Services. She started as a case manager in the 1970s and has since been providing legal representation to immigrants for more than 20 years. Congratulations and thank you for your service, Phung!